The Maruti Suzuki Ignis is scheduled to be launched on January 13, 2017. This will be the third car that the brand will sell via its Nexa dealerships and is expected to be positioned in the same price bracket as the current-generation Swift (Rs 5-7 lakh, ex-showroom). However, it will sit below the new-generation Swift that will be launched in India later this year. Based on a revised fifth-gen platform seen in the Baleno, it will be offered with the same 1.2-litre petrol and 1.3-litre diesel engines. While the diesel engine will produce the same 75PS and 190Nm as the Baleno, the petrol variant will produce 1PS and 2Nm less at 83PS and 113Nm. Transmission options for both engines are a 5-speed manual or a 5-speed AMT. 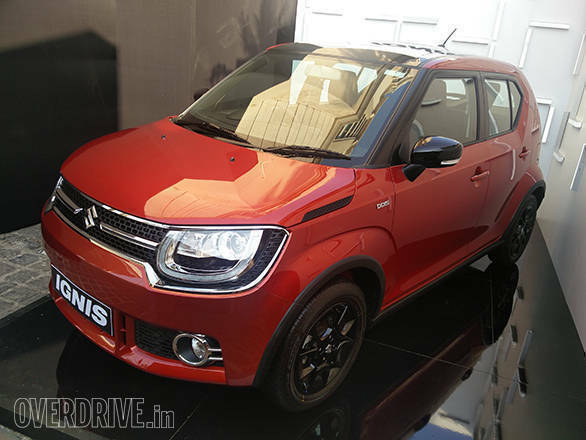 The Ignis will be sold in four variants, and here's what each one will offer. This is the lowest-spec version of the vehicle, and like most base variants, it gets just the basic necessities. On the outside, it gets body coloured door handles and ORVMs, while the interior will feature a basic air-conditioning system. It will get a single-tone dashboard and front power windows with the auto-down feature for the driver's window. However, it won't get an audio system or a security alarm system. In terms of mechanical options, this will be offered with a choice of both engines and a 5-speed manual. 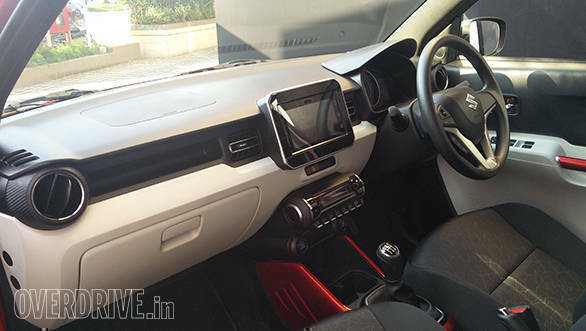 In addition to what the Sigma variant offers, the next variant of the Ignis will get wheel covers, turn signals on the ORVMs, a tachometer, a dual-tone interior and chrome accents on the AC vents. It will also feature a basic two-speaker audio system with Bluetooth and USB connectivity, steering-mounted controls and a remote control for the system. Additionally, the Delta variant will feature a keyless entry system, electronically adjustable ORVMs, a 60:40 rear seat split, rear power windows and a security system. Seeing how popular automatics are becoming in India, the AMT option will be available from this variant. On the outside, the Zeta variant will feature chrome grille accents, fog lamps, 15-inch alloy wheels, and plastic cladding at the wheel arches and side sills. It will feature the same basic audio system as in the Delta variant, but with six speakers (including two tweeters) instead of two. Creature comforts include a push-button start-stop system, electronically folding ORVMs, rear parking sensors, and a rear defogger and wiper. This variant will also be offered with the AMT options. 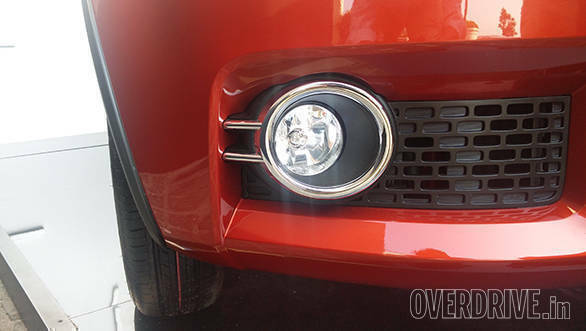 The top-spec variant of the Ignis will be the first car in this segment to receive LED projector headlamps. It will also feature DRLs, a puddle lamp on the ORVMs, instrument cluster accents, automatic climate control, and an 8-inch touchscreen infotainment system which is also linked to a rear-view camera. This unit is the same one seen in the other Marutis and will, for the first time, feature Android Auto in addition to Apple CarPlay. It will also support connectivity to Suzuki's SLDA Remote mobile application which can be used as a remote control from within the car. Unfortunately, like with the Baleno, the automatic gearboxes will not be available on this top-end variant.